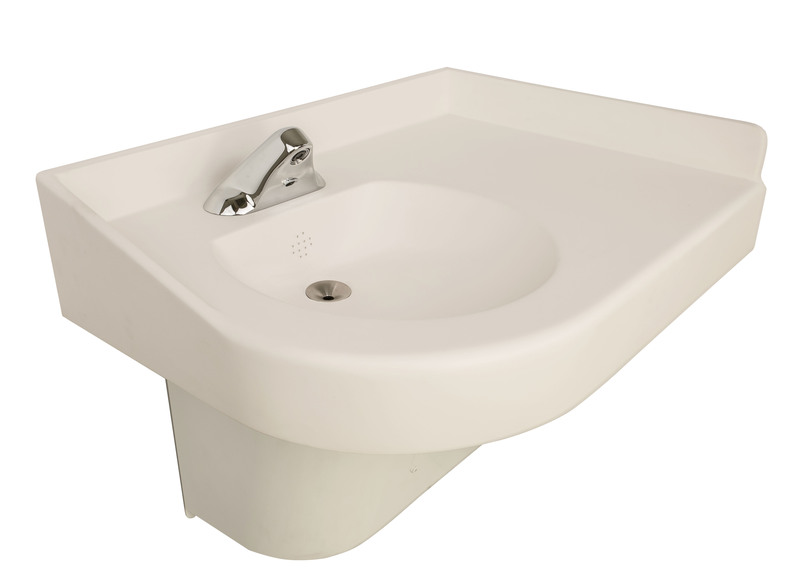 WH3776 Series Basin is constructed of Corterra® cast solid surface. It features rounded corners and a sloped side splash limiting ligature points. It is designed as a corner basin in a ligature resistant application. This option provides for a lavatory tempering valve which shall be IAPMO lab certified per ASSE 1070 at 0.25 GPM (1.0 LPM) and CSA standards. The valve features 1/2" NPT Connections. Click Corterra's® bio-resin colors below to view the latest colorful details! Corterra solid surface may be specified for the coutertop, backsplash and basin on Whitehall's Patient Care Units and other sinks. Note: The Corterra® solid surface color "Peppercorn" [OCC06] was discontinued August 2016.